2015 NFL power rankings, preseason edition: Seahawks, Packers start the year on top | BollyWood News……. A new season of football is days away. What better way to kick it off than with the first edition of our power rankings! It’s a brand new year in the NFL. A blank slate. The over analysis of every little piece of NFL minutiae over the last seven months — draft picks, free agency, court cases, mini-camps, training camps, some player being in the best shape of his life — will finally be put to the test. NFL parity always has a knack at making preseason rankings look stupid, but we writers toil on. Without further ado, here are the preseason power rankings for 2015. Thanks to SB Nation’s NFL bloggers for helping rank the teams to start the season. The top of my Power Rankings this year feature a lineup of the usual suspects. The Seahawks came within 1 yard of a second straight Super Bowl victory, but now must prove they can mentally bounce back from that devastating and humiliating last-minute loss. The offensive line is a big concern, but on paper, they appear poised to do so. Seattle added Jimmy Graham to an already efficient offense, which should boost their red zone effectiveness, and rookie Tyler Lockett looks primed to be a major factor in the field position game. On the other side of the ball, the other big question mark is whether Kam Chancellor plans to report. Assuming he does — I can’t see him missing much, if any, time once the real games start — Seattle returns all their starters save for corner Byron Maxwell, positioning themselves for a third straight season as the league’s top defense. Meanwhile, the Packers, who by all logic should have gotten past the Seahawks and gone to the Super Bowl last year, return most of their core players, as well — including the best quarterback in the game in Aaron Rodgers — but will have to cope with the preseason loss of Jordy Nelson. 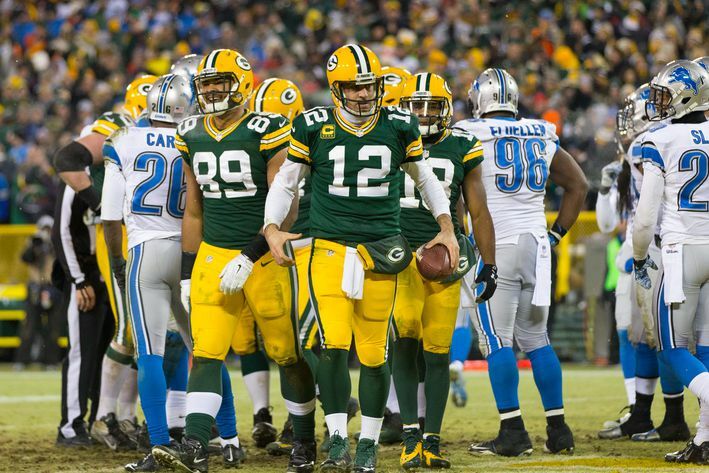 The battle of attrition has started early for Green Bay, but it’s a loss that they should be able to weather. I expect they’ll once again be among the NFC’s elite. The defending Super Bowl Champion Patriots find themselves at No. 3 in my rankings because of the the still-lingering Tom Brady suspension uncertainty, and because of their losses on the defensive side of the ball. It’s hard to doubt that Bill Belichick and Tom Brady can work their magic once again this season and lead the Patriots to AFC East supremacy, but the path is markedly tougher with the departure of starting cornerbacks Darrelle Revis (most importantly) and Brandon Browner, plus Vince Wilfork, Kyle Arrington, Alfonzo Dennard and Akeem Ayers. Will the loss of Revis — a Defensive Player of the Year caliber player — be too much to recover from this season? We’ll find out. The Broncos’ fate this season rests on the shoulders of Peyton Manning. Can Manning overcome injuries from the second half of last year and return to his normal form, or have we seen the beginning of the end for the legend? Regardless, I really like Denver’s defense a lot. They can rush the passer with the best of them and have a very good secondary with Aqib Talib, Chris Harris Jr. and T.J. Ward, and with a high-functioning Manning returning to a semblance of his former self this year, the Broncos should continue to dominate in the AFC. Right now, I’m not counting Peyton or Denver out. Rounding out the top five are the Indianapolis Colts, who reloaded to take a run at it this year with the acquisitions of Andre Johnson and Frank Gore, two new pieces for the prolific Andrew Luck’s arsenal. Offensively, Indianapolis should be pretty unstoppable. The defense is the bigger question, of course, but they added Trent Cole to boost the pass rush, and expect to get Robert Mathis back to (near) full health this year. Indy’s brass hopes that these veteran pieces will put them over the 11-5 hump and past the Patriots to the Super Bowl this year. It’s too early to anoint the Eagles, but I find myself very high on Chip Kelly’s crew in 2015. We’ve all overreacted to preseason play at one time or another — but a healthy Sam Bradford could be a major boon for Philadelphia. It doesn’t hurt that they replaced LeSean McCoy with two high quality backs in DeMarco Murray and Ryan Matthews. Of course, there’s a reason I put Philly in the “big question marks” category, because Sam Bradford and “health” haven’t been synonymous thus far. So much relies, as usual, on Bradford not getting himself hurt. The Steelers should have one of the best offenses in the league again in 2015, but will have to ride out the suspensions of Le’Veon Bell and Martavis Bryant early. The defense in Pittsburgh is also a major question mark. In Arizona, the Cardinals get their quarterback back, but Carson Palmer will need to stay healthy and prove the knee won’t affect his performance. I love the hutzpah of Bruce Arians. He likes to throw the ball deep and his defense will almost surely be aggressive, but the Cardinals have a few big questions to answer. Dallas has an absurdly stacked offensive line. The Tony Romo to Dez Bryant connection should be alive and well. The Cowboys have to replace their bell cow in DeMarco Murray, and face major questions on defense. An already depth-challenged group lost starting cornerback Orlando Scandrick to an ACL injury and may rely more than ever on their ball-control offense. Can the Chiefs receivers score a touchdown this year? Will the Lions be the same without Ndamukong Suh? Can the Bengals get over the hump with Andy Dalton? Is Teddy Bridgewater the real deal? These are a few things on my mind heading into this season. The group of teams from Nos. 15 to 25 all feel like they could go either way this year. The Chargers, Dolphins, Saints, Panthers and Falcons all have established or up-and-coming quarterbacks, but questions of balance and depth remain. The Bills, Texans and potentially the Rams have very good defensive groups but will rely on Tyrod Taylor, Brian Hoyer and Nick Foles to truly contend. Pretty much the entire Niners team outside of NaVorro Bowman is one giant question mark, and even he’s been off the field for 19 months. Still, I could see any of these teams crack the top-10 this year, and I wouldn’t bat an eye. As much as the Leaders of the pack were made up of the usual suspects in these power rankings, so too are the Cellar Dwellers. The Titans and Bucs have a good shot of climbing out of the bottom two spots because of their new signal-callers, Marcus Mariota and Jameis Winston, but they weren’t at the bottom of this list for most of last year just because of the quarterback position. The Jets lost their presumptive starter for the first 6-10 weeks with a broken jaw, leaving them in limbo even longer. The Browns are still relying on a bridge quarterback in Josh McCown. Washington’s quarterback situation has been a regularly scheduled debacle, and while the Raiders and Jags look to be headed in the right direction, they still have quite a bit of ground to make up.